Many turn-in clients are out in under an hour! Our A-1 specialists are always available to discuss your bail bond needs, no matter the time of day. Whether you’d prefer to apply by phone, email or in-person, A-1 Bail Bonds makes it as easy for clients to attain bail bonds as soon as possible. Because some of our clients don’t have the means to pay their bail bonds in full, we offer flexible payment options to provide them with the opportunity to enlist our services the day they’re needed. If you can’t contribute the entire amount of your bail fee upfront, you have the option of making a down payment today and funding the rest later. Need to secure bail bonds before turning yourself in? Conducting a warrant check is our first order of business. Call (808) 664-5010 today to speak with an A-1 specialist. Committed to Securing Your Bailout as Quickly as Possible! Contact our staff today to get started. Our substantial knowledge and expertise have saved thousands of local residents from spending several cold, sleepless nights in jail. A-1 Bail Bonds serves to guide clients facing legal woes through the complex legal system, as the state of Hawaii’s processes and procedures for obtaining bail bonds aren’t the easiest to comprehend. When you entrust us with your bail bond matters, we devote ourselves to providing trusted advice throughout the entire process. If you’re not satisfied, we’ll gladly refund your money in full before any bail bond is filed. Witness the extensive knowledge that we hold in this video. 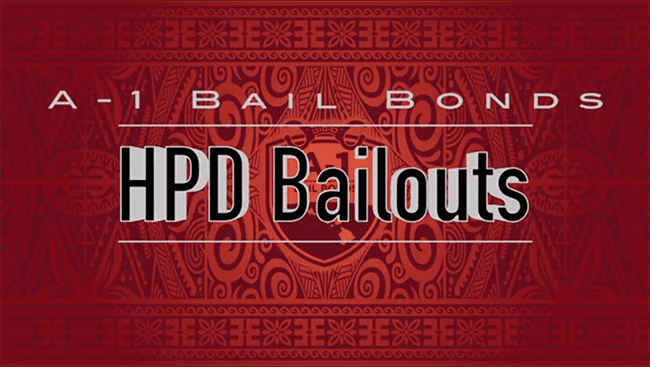 In this video, explains the best way to bailout from HPD (Honolulu Police Department). HPD main is at 801 South Beretania street in Honolulu, HI. To start, explains where the bathroom, parking, and release sections are at. He also provides a few "tips and tricks" for how to bail someone out without any further delays. Nick is a awesome person when it comes to bail bonds. He's very helpful and they work super fast. No matter what, just know that theyre here to help you!!! Shenile G.
Nick is honest and professional! In a stressful situation, it's important to have someone with integrity and experience who can navigate you through the process. BIG MAHALO to Nick for everything! HS L.
Much mahalos goes out to Nick, one of Honolulus best bail agent ever! I recommend him anytime, very helpful and he will help you no matter what, he is there! Thank You Nick - Felisha & Maverick :) Felisha A.
I'm so grateful a friend referred me to A-1 Bail Bonds. This was my first experience bailing someone out of jail, and it's a stressful process. Calling A-1 was the best decision I could have made. I spoke with Nick who helped me understand exactly what was happening and make a decision about how to proceed. This place really knows the meaning of excellent customer service. I definitely will refer them to friends and family in the future. Dorothy M.
I found myself in a predicament and needed to help a friend out with a bail bond. A1 came highly recommended by an attorney. Nick who was my bail bonds agent was able to get my friend out within an hour and a half. I hope I don't ever need to call them again but if I do I know these guys are professional and keep their word. If you or someone you know need help with bail definitely call A1. Leo C.
NIck was so helpful. We are not experts when it comes to this kind of stuff but , thankfully we came to the right person . Nick helped my son get in and out of booking in less than an hour for an outstanding driving w/o license ticket . He knew exactly where to go ( Sheriffs office ) and ,made the procedure so easy . If you want excellent service and wonderful knowledge , just see Nick . Mahalo Nick for all your help !! No disrespect but , I pray we won't need your services again . lol !! L M.
If you find yourself in a bind this is the place to handle your bond. Professional, efficient and effective these guys are top notch with decades of experience, guaranteed to serve you like family. Hurley F.